Firmware malware has been a hot topic ever since Snowden’s leaks revealed NSA’s efforts to infect BIOS firmware. However, BIOS malware is no longer something exclusive to the NSA, Lenovo’s Service Engine or Hacking Team’s UEFI rootkit are examples of why the security industry should put some focus on this strain of badness. When performing BIOS dumps and uploading to VirusTotal make sure you remove private information, certain vendors may store secrets such as WiFi passwords in BIOS variables in order to remember certain settings across system reinstalls. 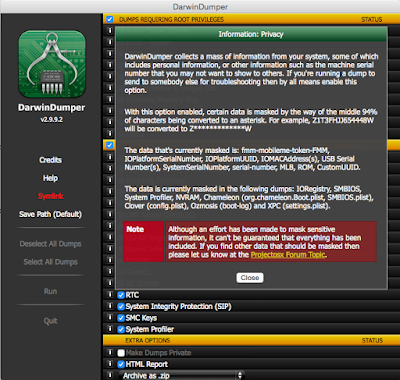 If you are on a Mac, DarwinDumper will allow you to easily strip sensitive information by checking the “Make dumps private” option. 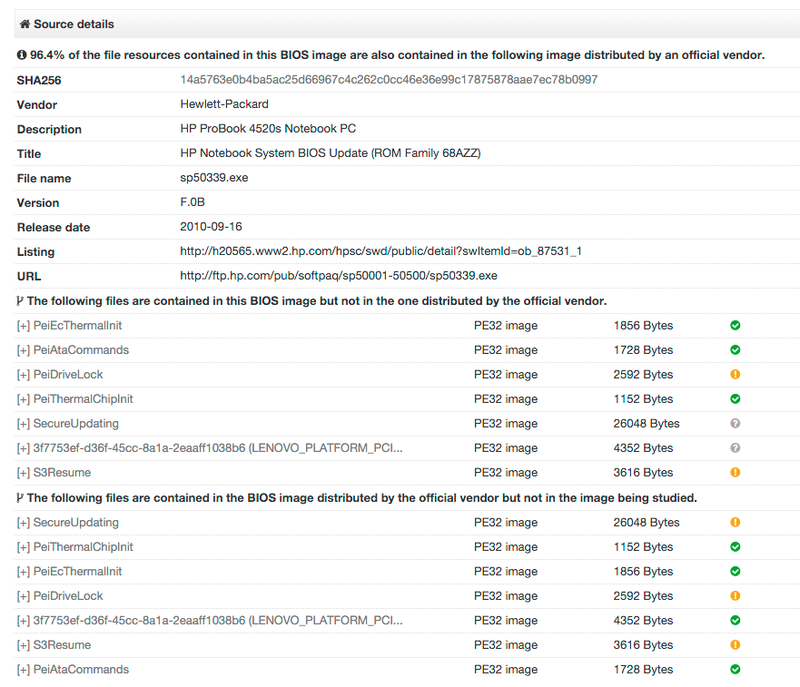 Premium users of VirusTotal Intelligence and VirusTotal Private Mass API will soon be able to read a follow-up article in Intelligence’s blog in order to understand how all of this information is now indexed and searchable, allowing you to track down advanced actors making use of BIOS badness in order to persist in their targets’ systems.